Totallycoverme writes: So I find myself kneeling in the bath on all fours. Nobody specifically told me to get in this position and how I got there is another story. I’m in a state of desperate need for multiple reasons and my head is all over the place. If you’re reading this, I’ve let you in bang in the middle of something basically and what it boils down to is that I was in this bath with my mind all over the place for reasons that had nothing to do with any planned head shaving. 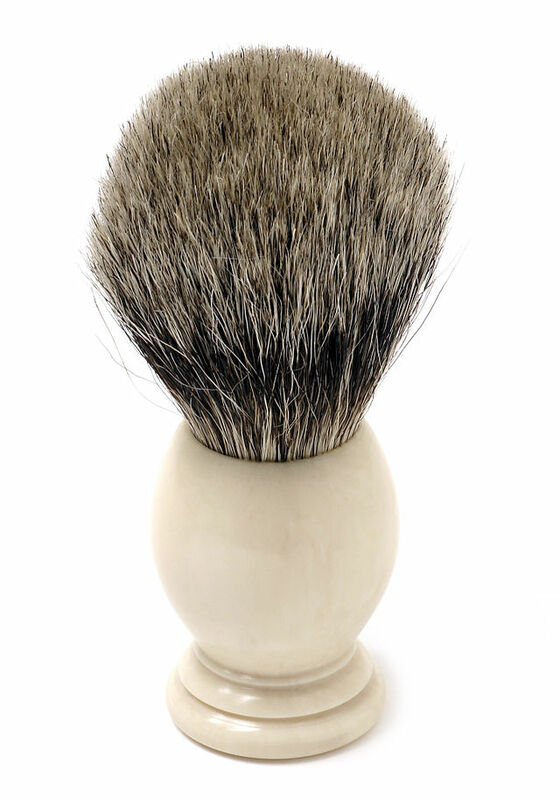 Spontaneously, Sir holds a small shaving brush in front of me. This holds massive and clear significance because I have already consented to having my head shaved. I didn’t expect much else to happen because I’ve been told a little bit about how my full head shave might happen so when I saw the little shaving brush in front of me I thought it was just part of this cute headfuck (which very much seemed to be happening anyway). The shaving product feels like it must have foamed up and I don’t think I’d be wrong in saying that it felt so cooling and tingly that I think it was menthol. It wasn’t long after getting used to that feeling that I felt the scraping of a carefully applied razor going over my neck. I may or may not have gone into a subtle type of shock at that point because I didn’t feel any fear or sadness. I’m confused to say that I maybe even enjoyed the physical sensations of having it done what with it being the neck and all (although I can’t be sure because maybe I was relieved to have a distraction from another bath related challenge that was going on!). One thing that did amaze me is that I felt so consenting and ready for this that I would have happily stayed put and stayed quiet had the shaving happened a bit more then a bit more, maybe even up until it looked like one of them bowl cuts what ye old monks have! Like it felt completely right and completely ok. It didn’t feel distressing or upsetting. It actually felt calming and soothing and safe. Again, I’m not sure if that was in its own right or as a distraction from other things but whatever it was it felt so much better than I could have imagined even though there were feelings of shock (probably why I kept so still) and being humbled in there. Dare I say it I might have even felt a bit proud! I wish I took a photo of the sweet little bit of hair that was removed. I’ve got my head down whilst kneeling on all fours because I’m already feeling a whole barrage of subjugated emotions by this point anyway and then unexpectedly I feel the shaving brush delicately making gentle little circular motions around the lowest point of my hairline on my neck! I had no idea what was happening or what to expect until I heard he and she talking about which razor to use. I’m still trying to piece together which emotions happened at which time throughout this to be honest. I can’t guarantee that I will feel exactly the same when it comes to my full head shave but I do feel a sense of having had a sweet little taster and it’s opened my mind to the idea that it might not be all about feeling humiliated, degraded and shamed (that’s not why he wants to do it anyway, that’s more of a me thing!) and that there is a likelihood of some amazing positive feelings occurring too. The mind blowing thing is that now I have experienced an introductory little shave on my hairline, I’m getting some positive and even enthusiastic feelings (amongst the nerves and fears) about getting my head shaved and the reason this is mind blowing is that I consider it to be genuine conditioning as I come more and more round to the idea (as my previous blogs on this subject will confirm!). Like I’ve gone from feeling that a head shave is about being humbled and shamed to realising that actually, amongst all that stuff, there is potential for feelings of pride and reassurance and maybe even tranquillity to be embraced too. Frankly if this isn’t what being a conditioned slave is then I don’t know what it. Sometimes I have to tell myself I’m one mad bird and is it really me writing this. Hey ho. Afterwards when I asked what it looked like Sir began telling me not to worry it wasn’t much etc etc and I found myself saying that he didn’t need to explain that to me (I felt a bit bossy then! Sowwy!!). I guess I wanted to make it clear that I truly and genuinely consent in that even if I’d left looking wonky or with a rude word shaved in, my submission would have remained and still in the best frame of mind ever. I say this because I believe the nature of my consent is true enough that it wouldn’t have been up to me if Sir wanted to do a bit more than a nice little tidy up of my whispy bits of hair at the base of my scalp. This is so real! Wow! I feel genuinely ready for this now and more positive and powerful about it than ever. I’m either living the dream or I’m a few chairs short of a barbershop! Frankly I’m fascinated and obsessed and excited about what this is doing to my mind. Happy days!